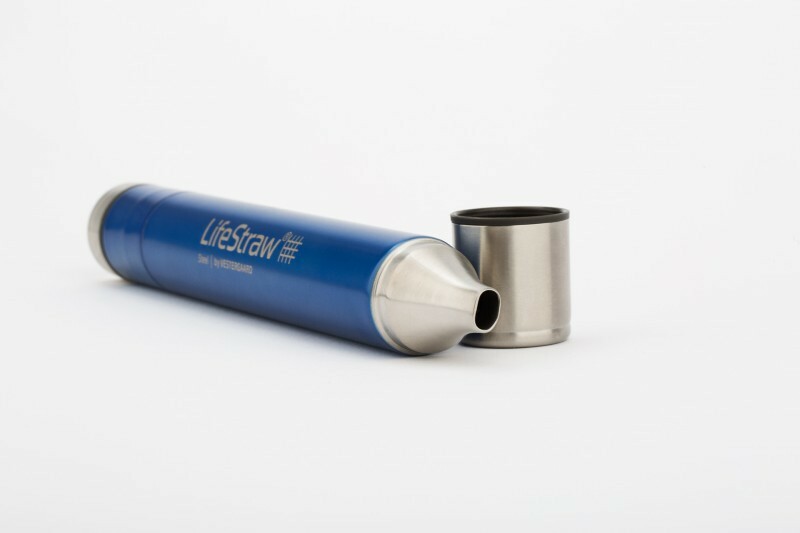 LifeStraw Steel is designed to provide safe, clean drinking water in any situation. 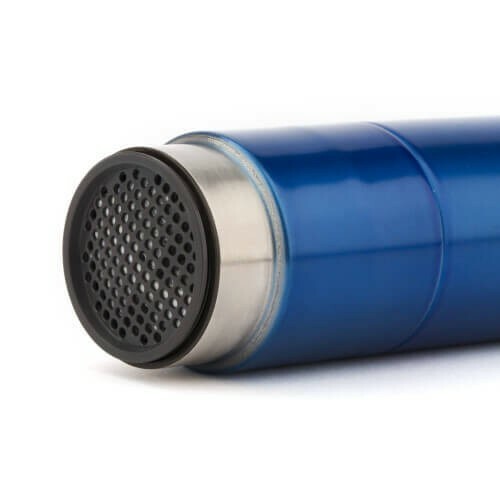 The lightweight filter is ideal for hiking and camping, travel, emergency preparedness and survival. It makes contaminated or suspect water safe to drink. 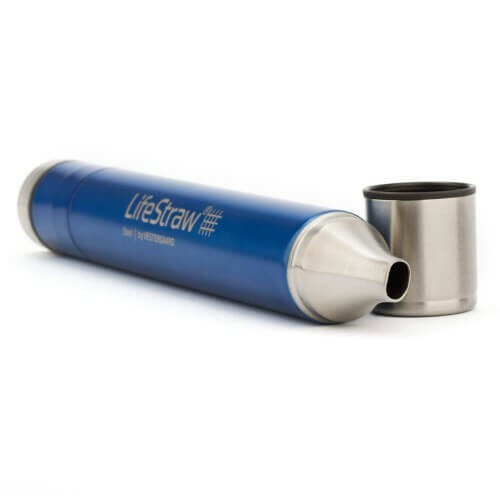 LifeStraw Steel filters up to 1,000 liters of contaminated water and does not contain any chemicals, batteries or moving parts as many other water filters on the market. 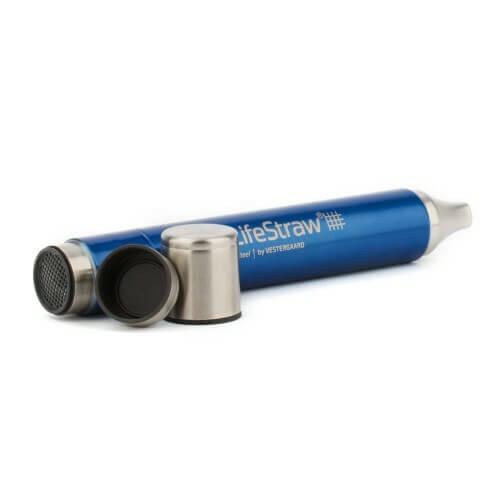 Place the LifeStraw directly in the contaminated water and you can immediately start to drink. Access to safe water has never been easier. 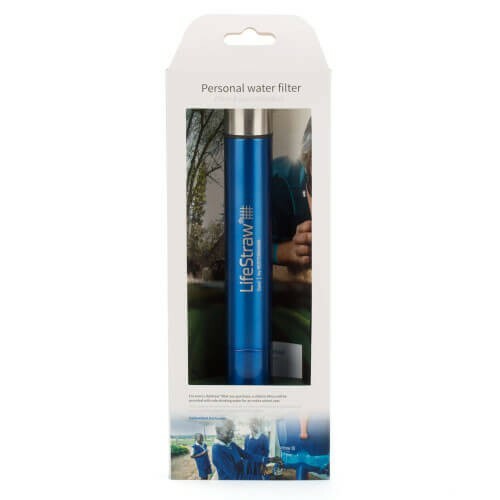 The LifeStraw technology contains a specially designed hollow fiber ultrafiltration technology, most commonly found in industrial water treatment plants that clean a city’s water supply. The inside of the LifeStraw consists of a large number of hollow fibers that resemble angel hair spaghetti, but much thinner. Each fiber has pores in its walls with a diameter of 0.2 microns or five hundred times smaller than the diameter of a human hair. When water is forced through the hollow fibers, only clean water can fit through these pores, blocking bacteria, parasites, and dirt from reaching the user. This purely physical method of filtration does not contain any chemicals. 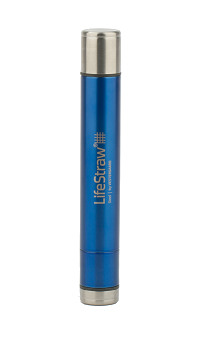 The LifeStraw technology has been independently tested and certified to meet EU directive 10/2011 and EU directive 1935/2004 regulatory standards. 1000 liters for the hollow fiber membrane. 100 liters for the replaceable activated carbon capsule.